EIFA opened in January 2013 for Primary section and added in September 2015 an offer for Secondary section (Year 7 to Year 10). They currently offer education for boys and girls aged 2 to 15. They plan to apply and offer the IB diploma in the coming years. 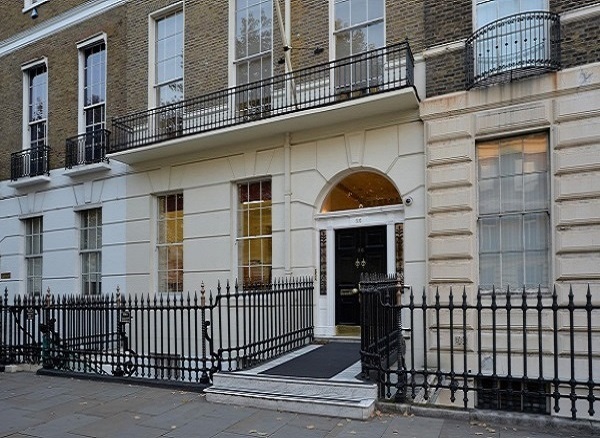 Located in Portland Place, close to BBC Headquarters, the school proposes an international bilingual education based on French Curriculum with additional English Litteracy for Primary. 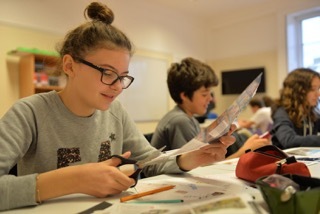 Secondary school proposes bilingual education based on both French and International Curriculum with an IB pedagogical approach. All the sudents sit for IGCSE at the end of Year 11. 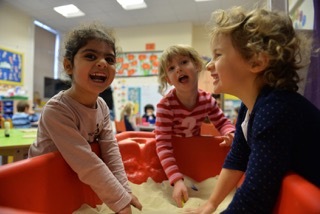 Thanks to a personalised and tailored teaching programme , the school has rapidly grown within the last 6 years and welcomes today more than 320 students. Less than 50 %of the students are French natives, the rest being binational or having another first language. Premium individual support is provided to the students thanks to small group classes (up to 15 for Primary levels, up to 20 for Secondary classes). When they leave the school, 90% of the students go for an IB Diploma, the rest going back to A levels preparation. Additional classes for ballet, music, yoga, theater, additional languages, fencing, etc… are proposed on site. Better for bilingual children, even if the school provides additional learning support for those who don’t speak French or English. Small class groups allow the children to improve rapidly, and there is a nice community feeling among the parents. Due to its premium location, the school doesn’t have any outside space for the kids to relax, and this should be taken into account if you have a kid needing space to run around. However, the students spend one hour a day in nearby Regent’s Park at lunch time. Each student in Primary school has his own Ipad, each student for Secondary school uses his own MacBook. In a nutshell, top of the range bilingual education, excellent academic level, tailored teaching programmes and a nice and nurturing environment, for expensive but still reasonnable school fees_ the price for excellence.